Last weekend on October 11 (Sunday), the UnGeek team went and checked out the UnPub Event at Burger Company. Needless to say, we were treated to a wonderful afternoon of playtesting boardgames that were still currently in development. First dibs to try some possibly upcoming boardgames? Pretty sweet, if you ask me. First off, what is UnPub? UnPub (short for unpublished) is a growing community made up of board game designers, artists, publishers, play-testers, and game enthusiasts. Their regular events give them an opportunity to showcase / demo their games, receive feedback, and, hopefully, usher their game towards publication. Keep in mind that all of the games here are in prototype form so It’s really isn’t fair to judge them based on the metrics of a full production game, so rather than doing that, we want to talk about some of the games we encountered with a focus on the mechanics and overall experience they gave. Let’s check ’em out! Resilience: Survive and Thrive is disaster-management card game made by Balangay Entertainment and the University of the Philippines Biodiversity and Resilience Program. It’s a card game that’s meant to teach awareness on the environment as you build the most developed community in the game. Each round you have 3 actions or “activities”. They range from building communities, houses, or making developments that grant you a lot of victory points but could possibly affect the environment, where it is almost always frowned upon by the neighboring barangays. Such actions can lead to a majority vote by the community group to remove a specific development card from the board, therefore losing points. At the end of each round, a random crisis or “natural disaster” occurs and the players mitigate the events by managing natural resources, using investments, and by assessing the current state of the environment itself. The game ends when 3 permanent crisis cards fill board or all the players’ development cards are wiped out from the board (usually by an event they did not prepare for or expect to happen). Although the game makes you cooperate with other players, there is only one winner determined by most victory points depicted in their tableau. Our group really had fun with this game. it has a similar feel with Monopoly Deal but with a little more meat into it. 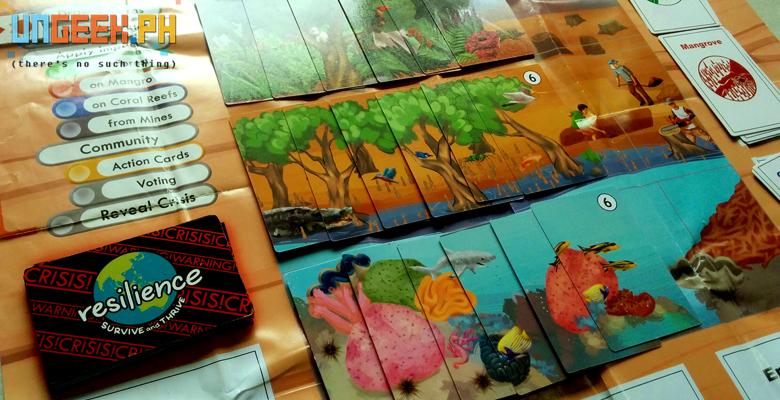 The 3 environments that you need to preserve (Forests, Mangroves, and Coral Reefs), the voting, and take-that aspect of the cards, and most especially the semi-coop conversations between the players really make the difference. 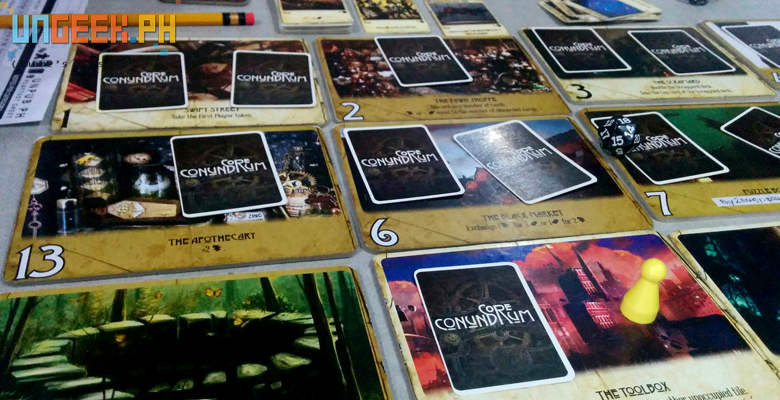 Core Conundrum is a steampunk-themed set collection game designed by Julian Sison. In Core Conundrum, players takes the role of inventors, racing to be the first to completing three schematic cards that serves as goals and are worth victory points. These schematics are accomplished by gathering sets of items scattered around the game board. The board itself is tile-based and each tile has a special ability that can be activated for a variety of effects that further helps with achieving your goals, sort of like Istanbul. This is one, in my opinion, is one to look out for! Insane Traffic – Imagine yourself on the road during rush hour in the middle of TRAFFIC – the one thing that universally irks all motorists. Now imagine a person one day having an epiphany and said “hmm, this would make an interesting game”, and thus Insane Traffic came to be. It is the tangible cardboard parody of our everyday struggles of going about the hustle and bustle of our Metro Manila Roads. The goal of the game is to earn the most victory points by racing and plotting through a predicted route line. Designed by Michael Fong, this is more of a “take-that” style of game that lets you do actions that mimic traffic situations in everyday Metro Manila. Each turn you have 4 points of action, where you can do anything from rolling a dice to move, and playing or drawing cards from your hand. The mechanics sound simple and it really it is, but there are a lot of variables to be wary about like road hazards and opposing player’s cards which at times could be really punishing especially at the right timing. Some cards are money that lets you “bribe” opposing players or hazards in the game. Overall the game does well in the presenting a roll-and-move mechanic with a lot of randomness and player interaction. Hopefully, with a few more playtests, the game gears up into the next level. Pun intended. Energy Star (Not the final title of the game) is made by the same group behind Resilience: Survive and Thrive. The game is aimed towards younger players in an effort to teach kids to be more environmentally conscious via boardgaming! The concept behind Energy Star is all about having the most efficient household by purchasing new appliances that conserve power and practicing energy-saving methods like pulling out plugs and switching the lights off when not in use. Mechanics-wise, the game has a tense open-bidding aspect where you and the other players bid on certain items on the board that are dealt out randomly. Those items depict new equipment or household appliances that replaces the old ones you have. 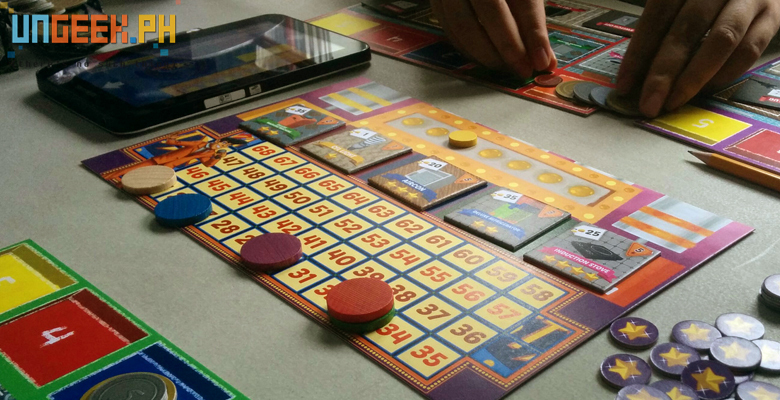 During the auction phase of the game players are also busy doing a somewhat mini-dexterity game in their own board where they flip the tiles purchases that could give them end-game points, what makes things interesting is that all of this is done within just a 20-second time frame. URPS (Ultimate Rock-Paper-Scissors) is a twist on the widely known gesture-based game. Remember playing rock-paper-scissors? 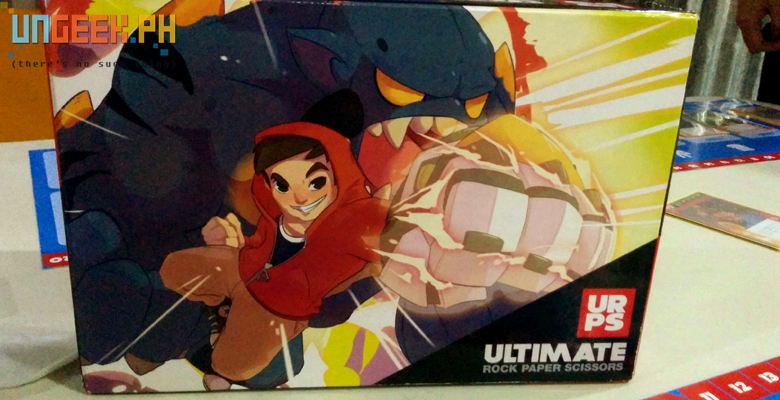 If not maybe you lived under a rock (yes another pun), but trust me, back in the day, it was a valid way to settle most arguments, URPS gives this game a new twist, taking it from a simple play on probability and elevating it to a full-fledged card game. The game makes use of card-play mechanics similar to those you often see on most card games. Each card (“Arm”) is played on one of the 3 slots on the board (rock/paper/scissors) and has a corresponding ability set up by a random draw. The winning hand gets to activate their card’s ability, and from this basic concept, the game shines with a variety of card abilities that, not only scores you victory points, but also directly affects the board. From abilities that make your opponent unable to play certain hands to cards that simply score you a ton of points, the clean and smooth flow of the gameplay is complimented the myriad of choices on the card abilities that you can include in your deck. You know that feeling of winning four or five times in a row, being able to active your card’s ability every single time? There’s something magical about that. Coincidentally, the feeling of losing five to six times in a row on the very same game is rather umm…unpleasant to put it mildly. Then you realize you keep playing rock because you subconsciously want to punch the guy beating you. 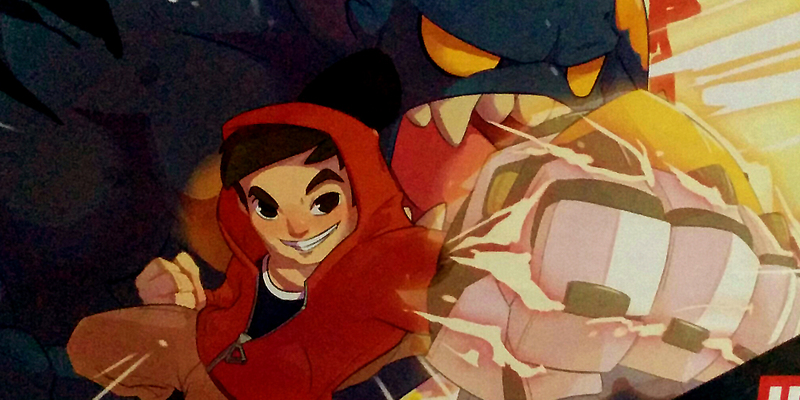 The overall game experience is a positive and enjoyable one, and features a fun art direction that’s reminiscent of Cartoon Network’s Adventure Time. Who would have thought RPS could be so much more enjoyable? Sadly, those are all the games we were able to try and we missed out on a few. But hey! There’s always a next time and YOU can join in! Head on over to the Cranial Vault Games FB page and wait for news on the next UnPub Event! Who knows? We might even see you there! Article by: Brian Papa with extra reporting by Robert Yatco & Francis N.